The North American Rally To The Caribbean’s [NARC] Newport-Bermuda race has been disrupted by the weekend’s savage storms, with the cargo ship “Oleander” [pictured] picking up four survivors from one abandoned yacht yesterday [Nov.6]. Bermuda Maritime Operations Centre reported this morning that continuing high winds and occasional gale-force conditions at sea had played havoc with the cruising rally participants who set out from Rhode Island for Bermuda on October 30. 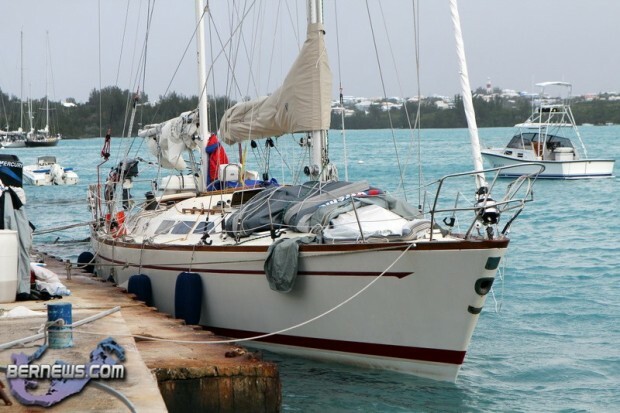 “At approximately 3:30 pm yesterday, the crew of M/v ‘Oleander’ was involved in the successful recovery of four survivors from the 46 foot sailing vessel “Elle” a NARC rally participant, located approximately 200 miles northwest of Bermuda,” said a Maritime Operations spokesman. The captain of “Elle” decided to abandon their vessel having encountered steering failure & subsequent injury to a crew member — bruised ribs — in 30-35 knot winds with seas ranging from 20 – 30 feet. The “Oleander” is operated by Bermuda Container Lines. Early this morning another NARC rally participant, the 49-foot “Riot” suffered steering failure on final approach to St. George’s Harbour and issued a distress call. “Bermuda Maritime Operations Centre tasked the Pilot boat ‘St. George’ and tug ‘Powerful’ to assist the vessel with winds averaging 30-35 knots during the rescue operation and attempts being made to keep the sailing vessel clear of the reef structure.” said the Marine Operations spokesman. “The yacht ‘Riot’, with six persons onboard, was safely guided into St. George’s Harbour a short while later. The annual NARC rally attracts veteran offshore sailors and professionally crewed boats and is described as “a grass-roots” affair for seasoned mariners. In Bermuda the St. Georges Dinghy and Sports Club is hosting NARC participants who, after filling up on fuel, were then scheduled to head to the final rally destination, St. Maarten in the Caribbean. The crew of another sailing vessel not entered in the rally, “Spring Moon”, were also rescued 550 miles southwest Bermuda yesterday. “At 12.20 local time on Sunday [Nov 6. 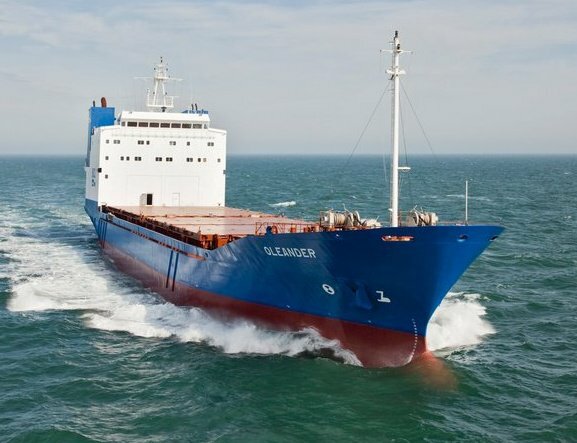 ], Cable ship ‘Ocean’ was diverted to a position 550 miles southwest of Bermuda to recover three crew members from sailing vessel ‘Spring Moon’,” said Marine Operations. “Cable ship ‘Ocean’ is due to disembark the three survivors at the east end of Bermuda tomorrow afternoon. 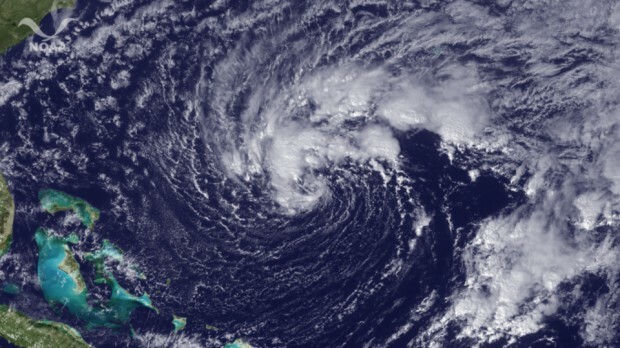 Bermuda Maritime Operations Centre said it is also in contact with a number of other sailing vessels presently offshore which have suffered rigging failure or are hove to due to present weather conditions. the north atlantic doesn’t care how good these guys are….they take licks like anyone else….I thought the traditional window for north/south passage making was after the end of official hurricane season but before christmas? Yea mate that’s now! This system to our SW is highly unusual. I certainly woulnd’t like to be bobbing around out there right now! I’ll second that! Superb bunch. My sincere thanks and gratitude to the captains and crews of the St George and Powerful for their assistance towing the yacht RIOT to a safe harbor in St George’s. My son was one of the crew on board the RIOT’s wild ride to Bermuda. I also want to express my thanks to the St. George and the Powerful, for getting my son and his friends to safety. You are great. From our vantage point here in Kitty Hawk NC I watch the C130s fly over from GC Elizabeth City NC November takes it’s toll every year. Those who sail sea between here and Bermuda in small yachts this time of year had better be prepared both in their equipment and mentally. History shows that chances are good you will sail into a gale or better. Where do these abandoned boats go?